The morning of Sept. 11, 2001 has been described in greater detail in other articles. Better writers have used far more prestigious column inches to tell tales of the savaging of Lower Manhattan by hijackers piloting Boeing 767’s, and the decimation of the Pentagon a little over half an hour later. An entire nation, once more, drew tearful pride and strength when they remembered how passengers on the United Airlines Flight 93 averted a final catastrophe at the cost of their own lives. Still, it behooves us to count the cost this nation paid that Tuesday morning. Nearly 3,000 died. Over 6,000 injured. Billions in property damage. Fear and hate, blood and dust. Cancers that ravage former first responders at numbers set to outpace casualties from the day itself by the end of the year. But looking at 9/11’s aftermath as a purely American event, felt mainly by New Yorkers and first responders, is like looking at the ocean through a straw. The whole world suffered after Sept. 11. There is blood spilled to this very day that can be traced back to the actions of those 19 hijackers. This is not an effort to diminish the sacrifices our countrymen made that fateful day. This is an effort to see past the smokescreen of propaganda and take in the scope of Sept. 11, 2001 and its consequences as a whole. The Pew Research Center estimates about 3.45 million people in the United States are Muslim. Those who lived in the U.S. in the aftermath of 9/11 noted a precipitous rise in anti-Muslim sentiments from their countrymen. The Federal Bureau of Investigation reported 92 anti-Muslim assaults in 2001. There was just 12 in 2000. The number has never dipped below 26 any year since 2001. In 2016 it rose to 127. Muslims have not been the only target of reactionary violence in America. The advocacy group Sikh Coalition recorded more than 300 incidents of violence and discrimination against Sikhs in the U.S. within a month of 9/11. 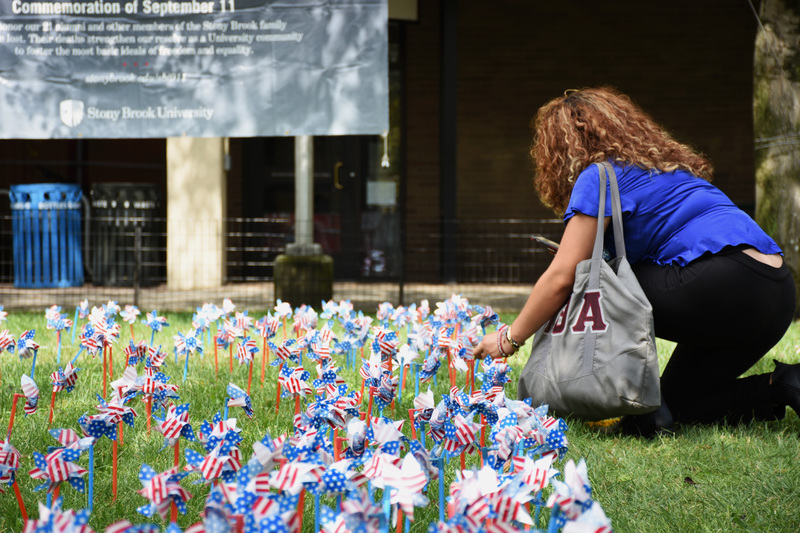 Senior biology major Shafkat Salam barely remembers Sept. 11, 2001. He was enrolled in kindergarten at the time, living in Canada. Still, he recalls his family fearing the West would turn against Muslims. He moved to the U.S. a couple years later. Today, he looked back on how those attacks, in a country he didn’t yet live in, ultimately shaped much of his life. Salam considers himself lucky. He never experienced the violence and overt intimidation that marked the lives of so many of his friends, but his childhood wasn’t free from discrimination. Numerically speaking, the vast majority of blood spilled due to 9/11 has not been American. President George W. Bush declared a Global War on Terror just a few days after. Under banners of righteous justice, with the support of the entire world, we turned two nations to rubble. One of them had nothing to do with the attacks. In destabilizing Iraq, the U.S. created a power vacuum that ultimately led to the rise of ISIS, a major player in the violence and displacement that have rocked The Levant. The War on Terror’s true death toll is unknowable. Hundreds of thousands of civilians have been killed in the Middle East and South Asia since 2001. At least five percent of Iraqis have died since the start of the 2003 invasion; more than one million people, according to a consortium of physicians’ groups. None of it stopped terrorism. What happened that Tuesday morning changed the course of American history. It also changed the course of history in Europe and Africa. It blew holes in whole generations of men, women and children in the Middle East. We need to recognize the common denominator of pain that day, wrought from the innocent in nearly every corner of the Earth, if we are ever to truly heal. To do any less would be to disrespect the sacrifices of heroes from TriBeCa to Tripoli.